Bloomington Country Club is ready to make St. George chill again with the unveiling of The Club, a brand new, members only pool, snack shack and more! Let the kids play in the all-new Kids Zone while you sip custom drinks from the Snack Shack's new soda bar. You can even reserve a private poolside cabana to add exclusive V.I.P. treatment to your list of summer fun. So head over to the Bloomington Country Club today and learn how to do summer better. We are happy to announce that the pool is staying open all year! The pool will no longer be staffed at the pool check-in window, but the pool will be open during club hours. There will also be no lifeguard on duty. The gate must remain locked due to state code but please check-in inside at the snack bar and someone will be happy to let you in. See below for pool hours going forward. Now bigger than ever, the swimming pool will be the center of fun at The Club all summer long. 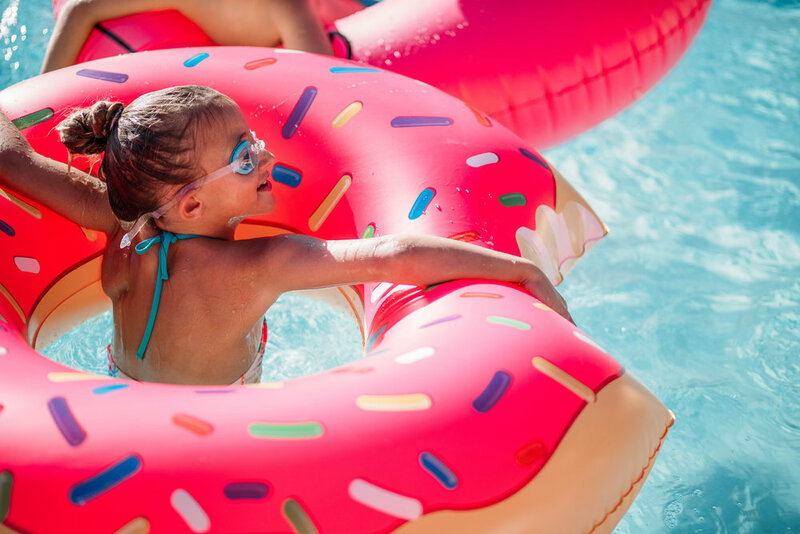 The pool area has been revamped to include a new equipment building to house pool toys, noodles and all the other accessories your family needs for a fun day in the water. With a newly designed menu, the Shack now features delicious eats like sliders, wraps, salads, hot dogs and even kiddy meals. For the perfect, refreshing drink to sip by the pool, try The Club's brand new drink bar inside the renovated Snack Shack. You can also create your signature poolside drink with a customizable menu of sodas and add-in flavors!